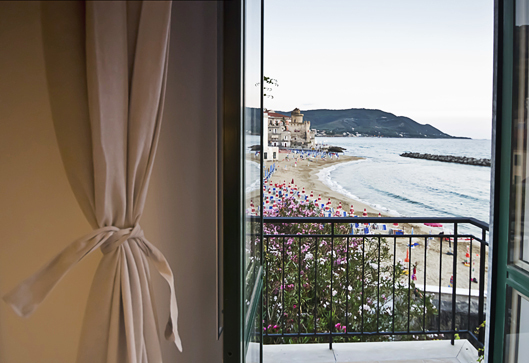 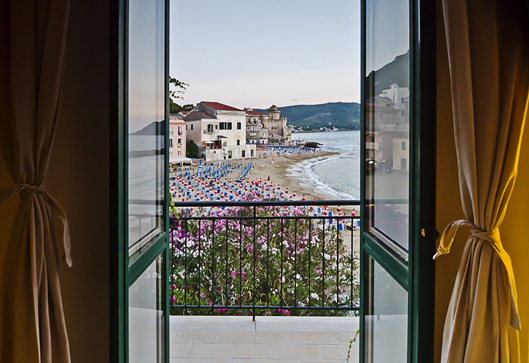 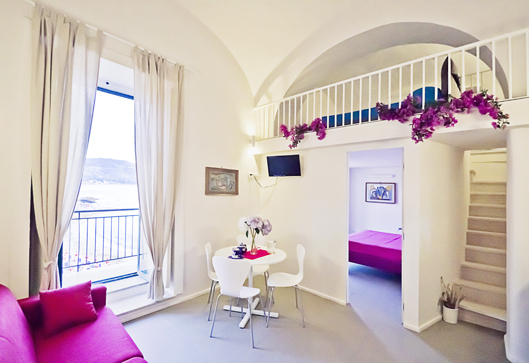 In the heart of Santa Maria di Castellabate on the marvelous beach of the Marina Piccola, Castellabate Suite is in an historic residence adjacent to the famous arches of the building called “Le Gatte,” made famous in the film, Benvenuti al Sud. 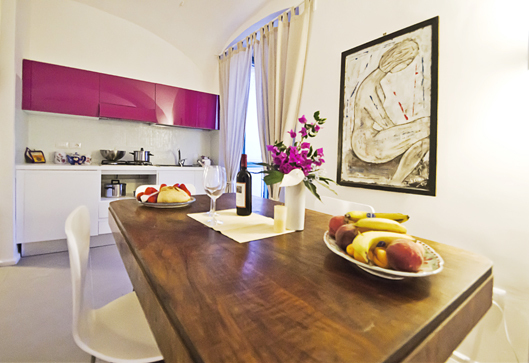 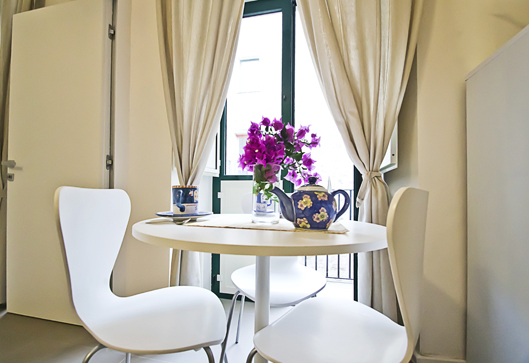 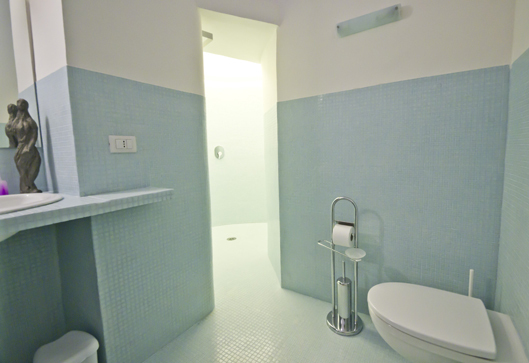 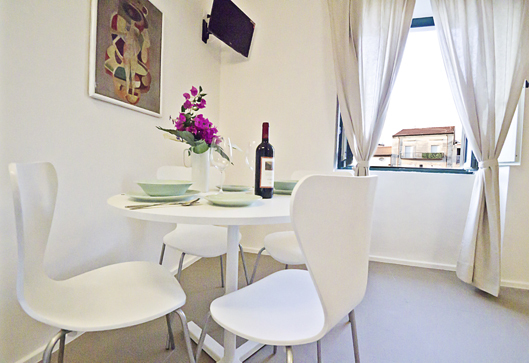 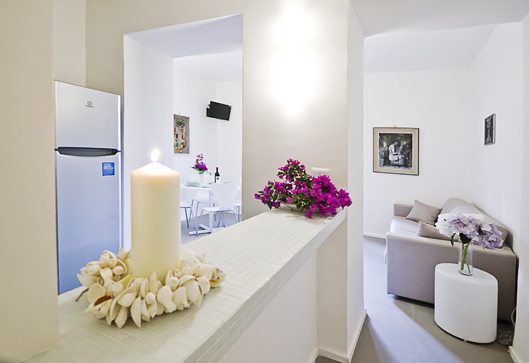 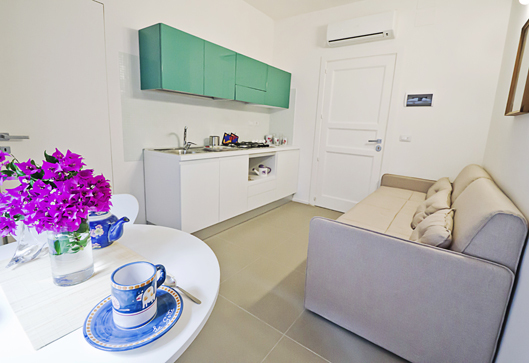 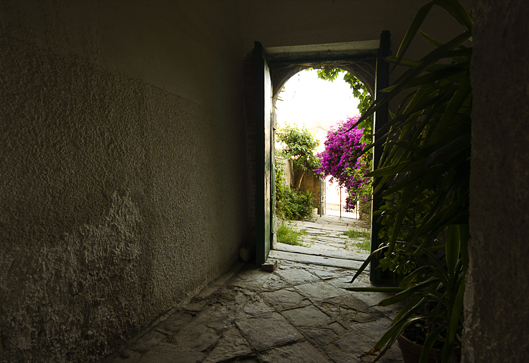 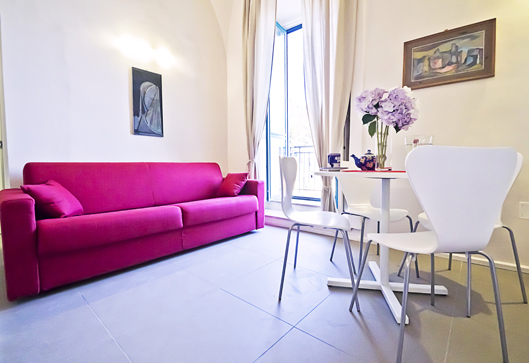 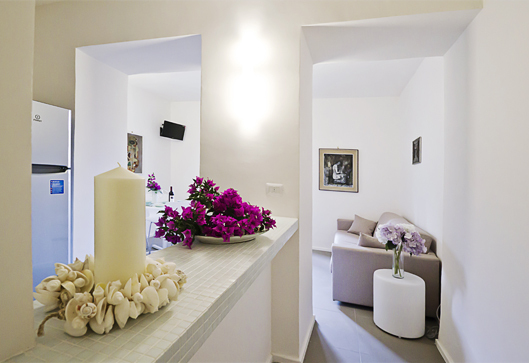 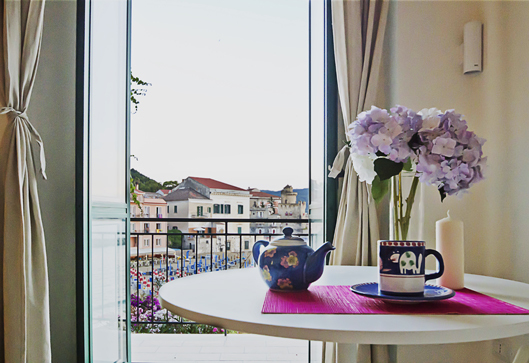 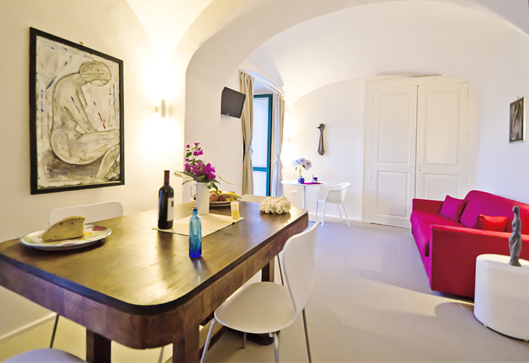 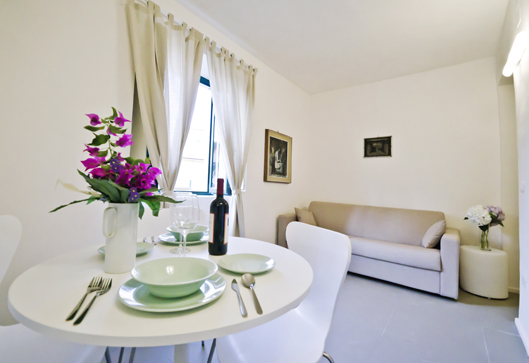 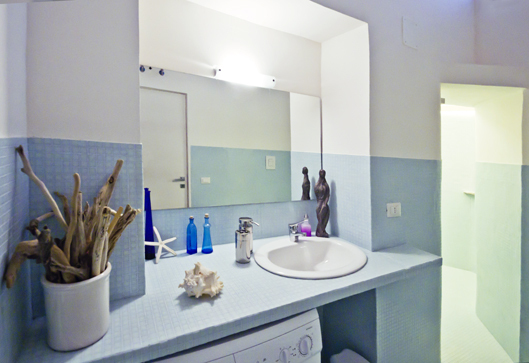 There are four apartments plus one guest room which can host from 2 to 6 guests with sofa bed as well as sleeping loft, all furnished and decorated with a mix of contemporary and Classic Cilento style. 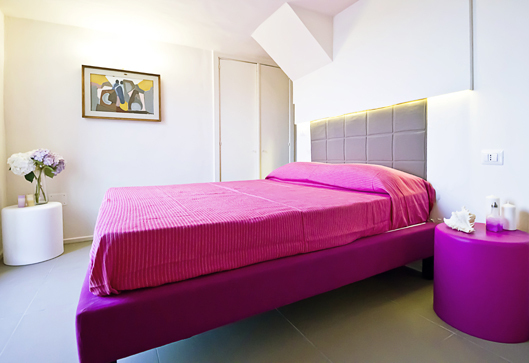 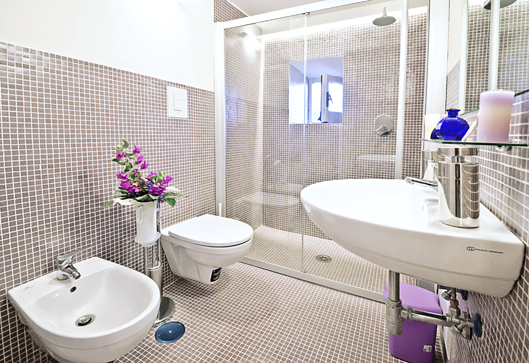 The owner is passionate about modern art and adds splashes of color to class tones. 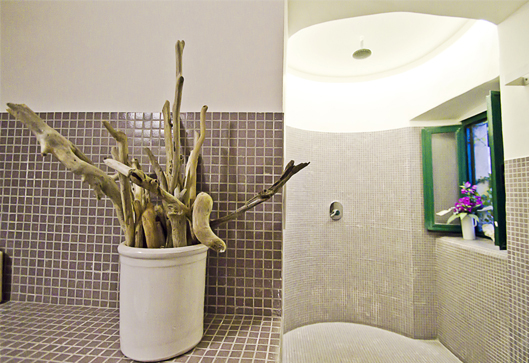 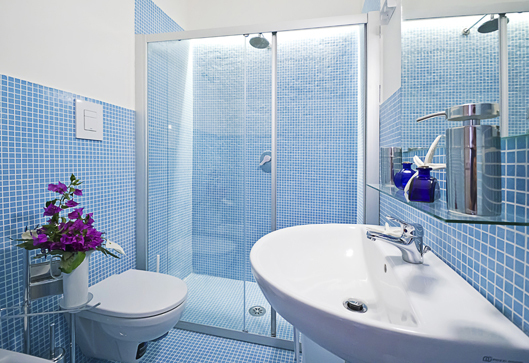 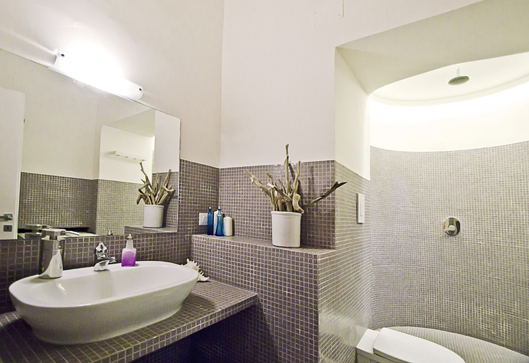 Some of the baths-showers are placed in the ancient tower of the building and are almost as large as the bedroom itself. 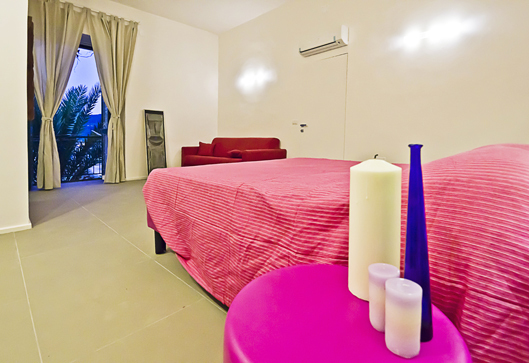 Relax in this romantic atmosphere, with everything right at your doorstep.